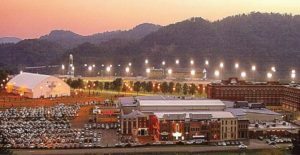 This Casino Resort is located in the heart of the beautiful Allegheny Mountains, just northwest of Pittsburgh. Hotel amenities include a wealth of dining options, lounges, gift shop, indoor swimming pool, spa, and more. The casino features 3000 reel and video slot machines, black jack, craps, roulette, poker, and their own Thoroughbred racing track. OPTIONAL CANCELLATION AND MEDICAL INSURANCE. CALL FOR RATES.